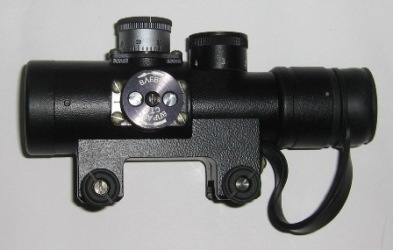 The PK-A sight is manufactured for Weaver. The sight has a sharp laying mark, with 8 gradations of brightness. - 8 gradations of brightness. - Visible angular size of the aiming mark: 1.5"